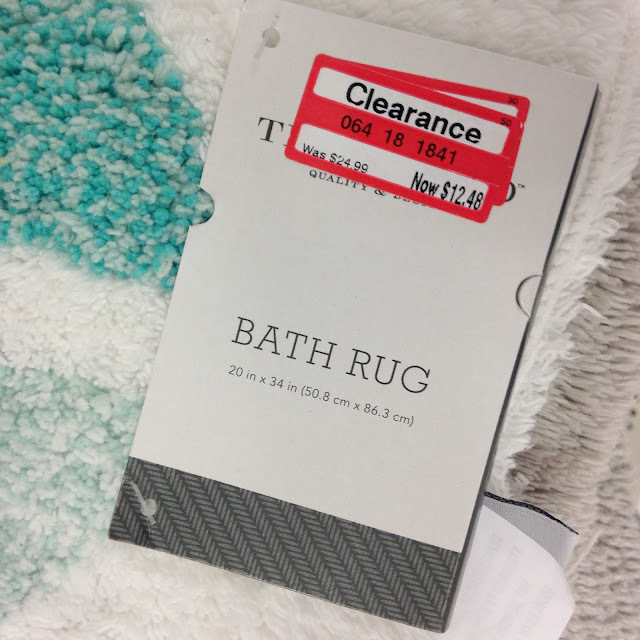 Tracy's Notebook of Style: Target Home Clearance 70% off Nate Berkus + Dwell New Markdowns + $25 Table! Target Home Clearance 70% off Nate Berkus + Dwell New Markdowns + $25 Table! Happy Target Clearance Shopping! When I arrived at the store, I knew I had to check out new markdowns, but had no idea I would find Nate Berkus down to 70% off! Plus, the Dwell collection that launched in late December was just reduced to 30% - 50% off items. Now is a really good time to add a few pieces to your space on the cheap, whoo-hoo! 70% off Nate Berkus Collection! Dwell Collection for Target was a failure if you ask moi. While I had a hard time even finding the entire collection, everything just sat on the shelves untouched. Ultimately, the items were too modern for the average shopper with prices way too high. TIP: Wait with to purchase anything on your list until it hits 70% off, you know it will! That being said, this wooden whale coaster set figure is super cute! why not wait and mark it all at the same time for the same percentage. These are the glasses inside the box - they look pretty. This side table is down to only $25! 50% off everything already, I'm sure it'll hit 75% off soon! nice gift for a graduate! 50% off most of the items shown, I really dislike when non-sale items are mixed in with marked clearance, although I'm sure next weekend they could be on clearance too, still annoying. 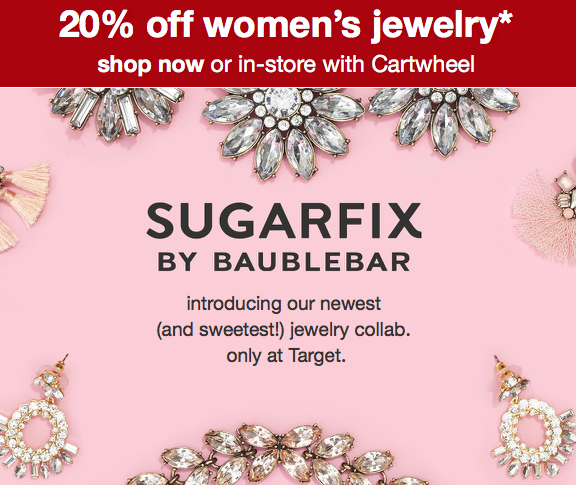 SHOP Sugarfix by Baublebar for 20% off Online HERE or in-store with Cartwheel. Just a heads up! The Victoria Beckham Lookbook should be out any day, I'll be posting as soon as it goes up online, sooooo excited!!! Oooh Looks like it's time for another Target run! I've been cutting down because every time I walk in the place I walk out with a cart full of stuff I don't really need LOL. Can't wait for the Beckham collection!!! Victoria Beckham x Target Lookbook is Here!!! NEW Target "Design Love Fest" Luggage Collection!